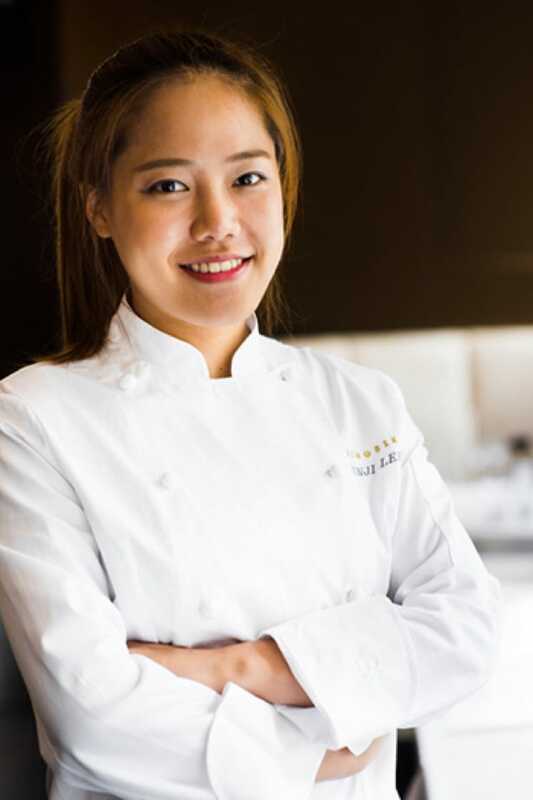 She is known for combining her classic French training with Korean ingredients in her lauded five-course dessert tasting menu at two-Michelin-starred New Korean fine dining restaurant Jungsik in New York City. 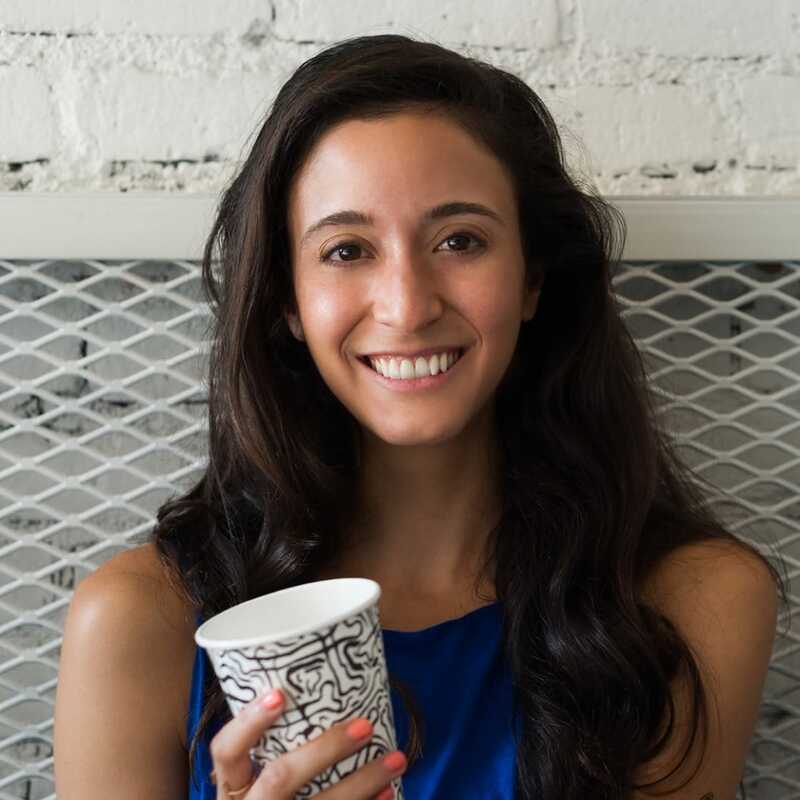 Her whimsical desserts have reached near celebrity status, particularly "Baby Banana" in which a server will bring a basket of fruit and carefully ask the diner to pick up a small banana with two hands. Instead of the common fruit, it is actually a hand-painted white chocolate shell with Dulcey chocolate ganache, and Bailey's cake with coffee ice cream. I had a great staff meal at Jungsik where we had dwenjang (Korean fermented soybean paste) soup with rice, kimchi, salad and cooked eggplant. I actually don’t usually eat or order breakfast because I try to sleep in the morning during my days off. If I do have breakfast, it’s usually some apples or a small snack before going into work. I love brunch since my wake up time is quite later than most others. During my days off, I love to go to Sadelle's for the bagel tower, as well as La Mercerie and Buvette for their French-style brunch. After dinner service at Jungsik we are always hungry. If I am dining late than I am going to K-town. I love to eat Korean barbecue at Jongro BBQ or New Wonjo. They have amazing pork barbecue and cold noodles as well as kimchi soup. I love the cocktails and food at Employees Only, which is not too far from Jungsik and is open until 4:00 a.m. The beef tartare is the best and my favorite cocktail is Ready Fire Aim—I could drink three rounds of that one. I love coffee, so I have many favorite shops. Some of my favorites are Devoción, Stumptown Coffee, Everyman Espresso, Kaffe 1668 and Felix Roasting Co. (A little recommendation—if you haven't tried the hickory smoked s'mores latte at Felix Roasting Company, you should!) My daily coffee shop is Noted Tribeca, which is just in front of Jungsik. It’s a beautifully designed coffee shop with great Counter Culture beans. I usually order a latte or cortado. So many places! When I am in Chicago, I love that tasting menu with cocktail pairings at The Aviary. In San Francisco, I go to Benu for dinner, b. patisserie where I order the kouign-amann, and croissants, lemon tart, banana tart or sourdough tartine from Tartine Bakery. If I am in Washington, D.C., I visit barmini by José Andrés for their concept, design and cocktail program. When in Paris, I go to Le Meurice and L'Orangerie at the Four Seasons for teatime (try their signature dessert, the vacherin), Passage 53 (which is one of my favorite restaurants of all time) and Big Fernand for my one of my favorite burgers in Paris. I love tofu and there are three different kinds of square tofu that I use for my laziest meal. My favorite is the softest one. I put it in a bowl, microwave it for two minutes and then I eat it. Sometimes it's just tofu, or I add a sweet and spicy sauce called cho-gochujang. I always have a bunch of tofu in my refrigerator. Mise en place! My favorite snack food is mandoo (Korean dumplings). I can just simply boil water and drop some dumplings in—it takes only five minutes. Then I eat them with soy sauce. It’s so easy, but really tasty and I love to eat it at home as a snack for the night or afternoon. A glass of whiskey, wine or flavored soju (the best is grape). Alcohol isn’t the healthiest, but if you have a little bit in moderation it's fine!